I was stealthing around the catacombs looking to check this wriggly guy off my list, and noticed some were drastically larger than the others. I was quite happy to find that their unusual size remains even after taming - and by large I mean from tip to tail she's bigger than my Dwarf! I took the advice of others in this post and looked in the catacombs, great advice because you can find several there and they respawn quickly. The best I found was a common, but I took it, thinking i would upgrade later with a stone. I decided to fly around the area to collect a few more missing pets and at 75.82 / 45.85 I found a rabbit that had a secondary decouring maggot Rare! Yea me! Right before that very nearby I got a Rare toad that was secondary to a skunk. Good luck! If your character is not high enough to AOE the zombies in Cats, try hunting the Fjord Worg Pups around (30,60). I found a green and blue Devouring Maggot as addons after only 5 battles with the Pups. The catacombs are a treasure chest of stuff. Took about 35 kills to get my rare Devouring Maggot, but in the process got a rare Turkey, rare Fjord Rat, and rare Maggot (not devouring). Start your Howling Ford pet gathering here...!!! 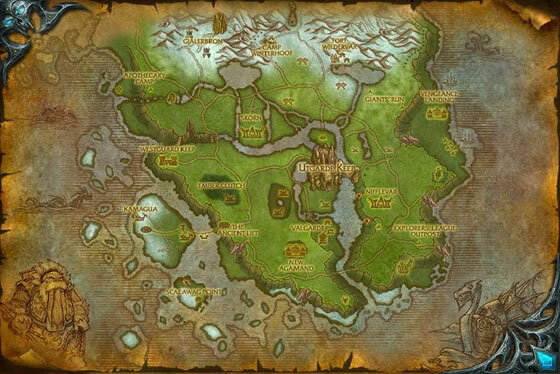 The Utgarde Catacombs (at 56,49) basement is wonderful for Devouring Maggot collection, if you did not already pick up your rare as a secondary while collecting in Howling Fjord. Surrounded by rapidly respawning zombies (AOE at 85+). As a druid you can stealth in and start the pet battle. 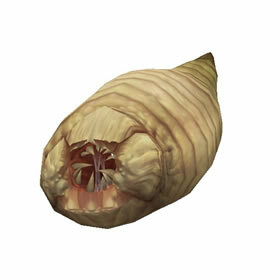 Feel free to kill the Devouring Maggots that are not rare, stealth again and grab the respawn - they respawn pretty fast, you won't wait often if you are clearing the floor of pets. Utgarde Catacombs is definitely the best place to find this pet, though it requires alot of time and patience. My best advice would be to take a high enough level Night Elf Hunter, as you have the option to shadowmeld or feign death right by one that you can battle and stay hidden so that you can do so without having all of the zombies on you leaving you in combat and unable to fight. The catacombs is the place to go, if you are high enough. I was fine as a 75 pally tank. The hardest part is getting an unobstructed view and out of combat at the same time. Once you figure out a technique that works for you, you never have to leave as they respawn quick enough. Be patient, took me about an hour or so. Captured Uncommon as a second to Maggot Halgrind (50, 54) southwest of Utgarde Keep. Tons of uncommons attached to the regular Maggot spawn. Even got some rare Maggots. Try and clear both rooms and behind the stairs. Behind the stairs you will get the "Pet battle obstructed" error, but perseverance pays off in the end. 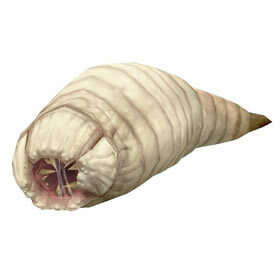 If you dont want to go down into the catacombs, these pets can show up as a secondary pet to anything in the zone. Thank you for the hint about Utgard Catacombs. I got one there tonight, and finally got credit on the Northrend Safari (this was my third time collecting the devouring maggot). Apparently Blizzard has fixed the achievement bug! I just confirm Kobh info - a really easy place to farm these is the UTGARD CATACOMBS. As long as you are 85+ you can survive in there indefinately. Much easier for those of us with spec that let you deal with multiple mobs at one time. I used chain lightening. becasue the spawn rate is so fast it took me 10mins to get a rare. BEST PLACE FOR THESE IS THE UTGARD CATACOMBS! (easy way in is be on the south side of Utagrad and there is a right skull and a left skull cave entrance go in the LEFT SKULL!) 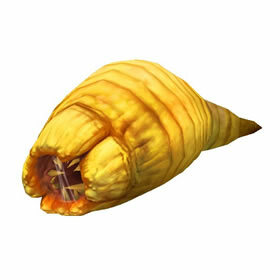 If you are ~85+ then just go in kill a few so you are standing off to the side not in the pat of these fast respawning mobs but close enough to click on the D-maggot and click and battle. Some are in obscurred fight areas so just move around or on to the next one. The achievement Northrend Safari is still not recognising when this pet is captured. I had one before 5.1 and just captured two more, but still no credit. I tried using the friends method but I only got grays... so I thought to try the catacombs. Stood on the step and AOE'ed the first 3 gouls. then I grabbed the first D.Maggot which was rare. I tried 2 others which were uncommon (logged out and left for others). This seemed to be a better spot than hoping a 'friend' would be a D.Maggot if you want better quality. As of 5.1 these now also appear as primaries in Utgarde Catacombs. They're also available in white and brown. They respawn at a fairly high rate. As do all the irritating ghouls down there. Howling Fjord teems with the ever shifting cycle of life. When a creature dies, its body is quickly consumed by maggots, which in turn pass those nutrients on to a number of other creatures.